It seemed to me like it took forever to work my way through the book of Revelation, partially because of the length of several of the posts, partially because it was hard work and partially because this was a time when I’ve had less time for writing and reflection due to the constraints of work. In reality, this journey began at the beginning of April and reached its conclusion at the end of November, a span of approximately thirty-five weeks. At my ideal pace it would take approximately twenty-five if I could work through a chapter a week (plus an introduction, in Revelation’s case some historical interpretive work and the conclusion which you are currently reading), but that doesn’t account for things like Easter, vacation, etc. It also doesn’t account for the sheer length of some of the reflections, some reached eight pages single spaced, and the other reality is that Revelation is just a more challenging piece of scripture because of the history of interpretation (or in many cases the spaces in history where the book has been ignored) and the reality that almost every single image in Revelation pulls upon a wealth of imagery from the Hebrew Scriptures (the Old Testament). Looking backwards, I’m honestly surprised I completed this in the time period I did. On the one hand, there is some relief at completing these reflections. 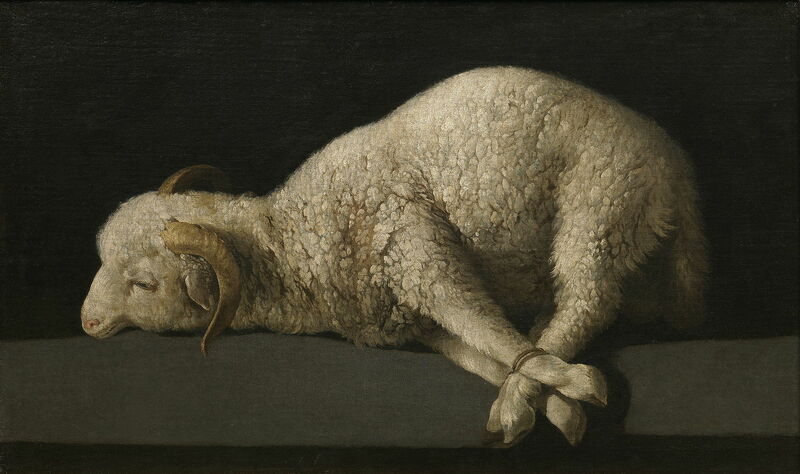 I have a far greater appreciation for the book of Revelation as a whole, yet it was a challenging book to write about. It is hard work to listen to the imagery as closely as Revelation demands the reader listen to hear the echoes of imagery that would be unfamiliar to most modern readers of scripture. It is hard work to attempt to go back into what we know of the late first century Roman empire and imagine how these visions would have been heard by their first readers. It is also hard work not to leave the meaning of these visions for the original reader but to wonder how they might reshape our imagination of our own time and place. Revelation asks, like most prophetic works do, some very uncomfortable questions which I’ll make a little more explicit below. It is a political work, in the sense that it comments upon the powers and the principalities that have aligned themselves in opposition to the reign of God. On the other hand, I learned a lot going through this. Revelation continued to force me back into both the work I’d already done on books like Exodus, Deuteronomy and Jeremiah, but it also took me into two books I’m less familiar with: Ezekiel and Daniel. If I’d have done things nice and orderly like I imagined I would’ve worked through both Ezekiel and Daniel first, but then I may have never made it to Revelation, and people tend to be more curious about Revelation than Ezekiel. I have a little greater sympathy for the path that many modern readers have taken through Revelation, I can understand the appeal of wanting to directly attribute the imagery of Revelation to one’s own time or the immediate future and use Revelation, and other books, as a way of decoding the timeline of God’s return; of determining who is among the righteous and who is among the unrighteous, and much like the whore of Babylon could allure even the prophet the violent imagery of Revelation has proved alluring to many modern readers. Yet, I am more convinced than ever that their reading is not only deeply flawed but ultimately dangerous since it never considers that they may indeed be those, like some addressed in the letters to the churches in Pergamum, Thyratira and Laodicea that in various ways compromised their actions to better fit into the practices and demands of the culture around them. Revelation recasts imagery from throughout scripture and reuses it in new and surprising ways. This is the way that scripture, and particularly the Hebrew prophets, work. Basic themes like creation, God’s liberation of the people in the Exodus, the construction of the tabernacle or temple become images that are reinterpreted and reused to address the struggles of the day. For an American example, the image of entering the promised land was used as a paradigm for the early settlers of the United States (and conversely a way that portrayed the Native Americans were paralleled to the various peoples who were wiped out in the book of Joshua to make way for the chosen people-just because an image is used doesn’t mean that it is always used properly). Yet, during the Civil Rights movement, Martin Luther King, Jr. and other leaders could invert this imagery where those who had imagined themselves in the role of the chosen people now occupy the role of Pharaoh. Revelation makes these types of reversals too: The small communities of the faithful now occupy the role of Israel, taking on the roles of being a kingdom of priests, a holy nation, and a treasured possession. This is where the reflection becomes political: but Revelation is a political document in its own time and to use it today necessarily is a political act. Revelation reimagines Rome in various unflattering ways: Rome is Babylon (the nation that conquered Judah, destroyed the temple, and brought the people into exile), a beast, a whore, and several other images. In the number of the beast (which refers to emperor Nero) we see Revelation link Rome to this particular emperor. Nero is viewed by most modern and ancient historians in an unfavorable light: he was viewed as corrupt, many believed he started the great fire of Rome to rebuild his palatial complex and he also used Christians as scapegoats for this fire. John in recording Revelation wants us to hear that Nero is not the exception: this is what Rome is! Writing in the second year of the Trump presidency this was an uncomfortable resonance. I would like to believe that Trump is the exception, that we as a people are better than the person who occupies the office but if Trump really is what America represents (and I know some of my colleagues in other faiths, races and nationalities may see this more clearly than I may want to) then Revelation holds up a mirror to consider in what ways does my own nation resemble the beast, the harlot, and Babylon the conqueror. This continual internal deliberation over the course of this year has been uncomfortable, especially attempting to pastor a congregation that was as divided as the country in general was about the state of the nation. Ending this series of reflections, I think Revelation needs to be read precisely because of the discomfort that it causes. Revelation continually prods its readers to repent, to choose the wise path of fidelity to the Lamb and God rather than the well-worn highway of too closely identifying God and nation. I know I have read Revelation against the grain of the way it is normally read: my reading has been far more gracious in the sense that instead of focusing on the damage and destruction I have paid attention to the pattern of divine restraint (something I learned in working through Exodus); my reading has attempted to be honest about the discomfort that Revelation causes and yet hear it as a book of hope. Revelation, after walking through it, is a book I respect and yet, it is not one of my favorites and that is OK. I can see how Revelation fits within the larger witness of the scriptures, I can appreciate the difficult and uncomfortable reflections it continues to give me to ponder and I can also understand why Revelation’s usage across the history of the church has been sporadic at best. Revelation as an image, and as a book, is much harder to hear today. It may have been as clear for its initial hearers as a political cartoon is in our current time, but we must reach back across the centuries to attempt to hear it in the same way. Revelation expects a lot of its hearers as it continually alludes to images from across the width and depth of scripture. It’s hard work, but work that we as Christians, myself as a pastor, and the church needs desperately to do to attempt to reclaim this book as a part of the cannon of scripture and to listen to what the images speak to us today. This entry was posted in Biblical Reflections, Revelation and tagged book of Revelation, Revelation. Bookmark the permalink.